I am now in a position to start sharing where the preparation is at for the Kickstarter due to start next month. First up are a couple of pictures of the test sculpt for the 10mm Demons based on the concept art. 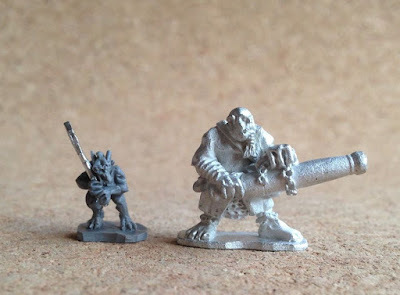 He is pictured next to an 18mm Black Gate Ogre Cannoneer. Robi Baker has done an amazing job as always. The miniature has been mastered, and sent out for painting. 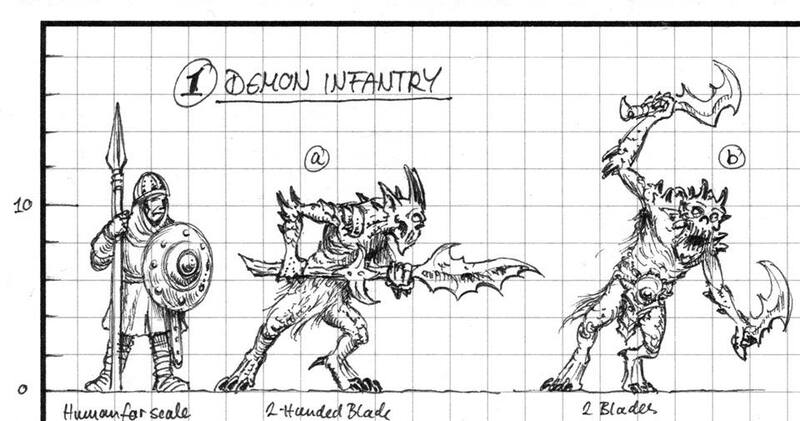 Next up, is the art for the main infantry unit. I don't want to spoil it all at this stage, but they look great and the unit will have at least 13 different sculpts including a banner and musician. I am in awe of how talented Christian Schwager is. 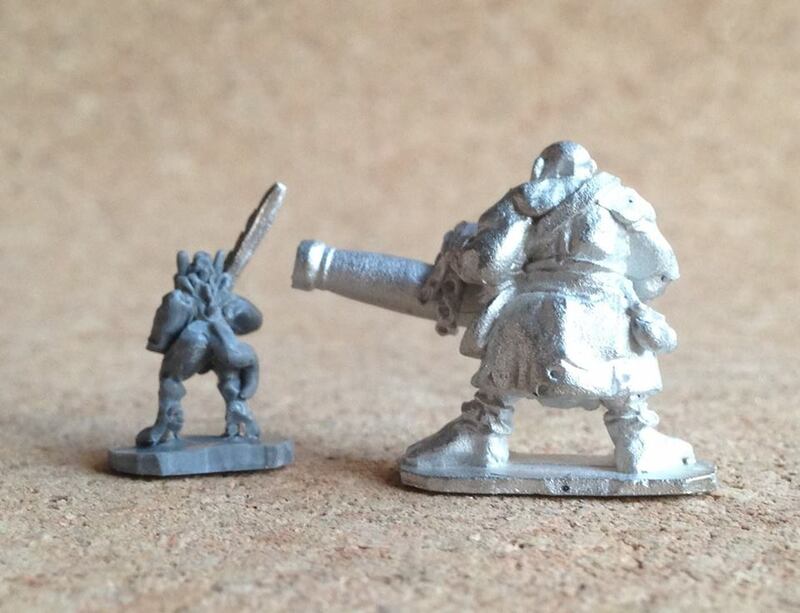 You can see a couple of the future miniatures with a 10mm human for scale in the third picture. I am truly excited to be able to try and bring Demons to Warmaster. Bring on Feb 2019.